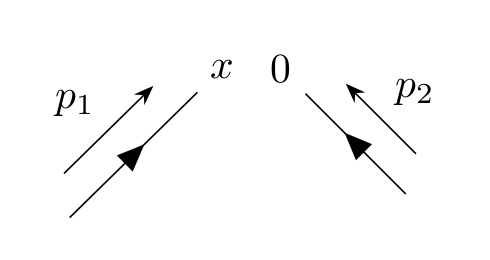 How to draw a textbook operator product expansion diagram like this? In another word, how to make lines to have some kind of angle between each other and how to separate two points only a little bit? 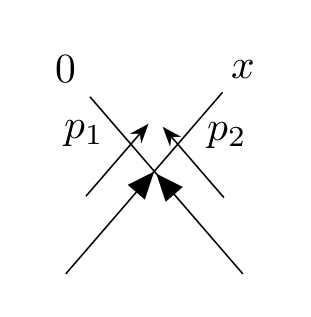 The author suggested that I should assign the position of those points explicitly but is there someway I can do it within \feynmandiagram? 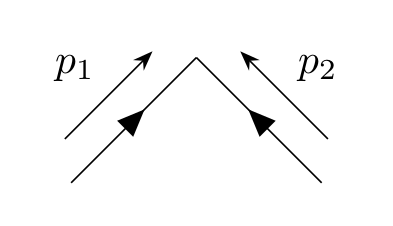 The main thing I'm not sure of right now (and others are free to edit this answer if they know), is if there's a nice and easy way of making the little loop in the second diagram. I suspect a similar question has been asked before, so if you forage through this site you might find exactly what you need.